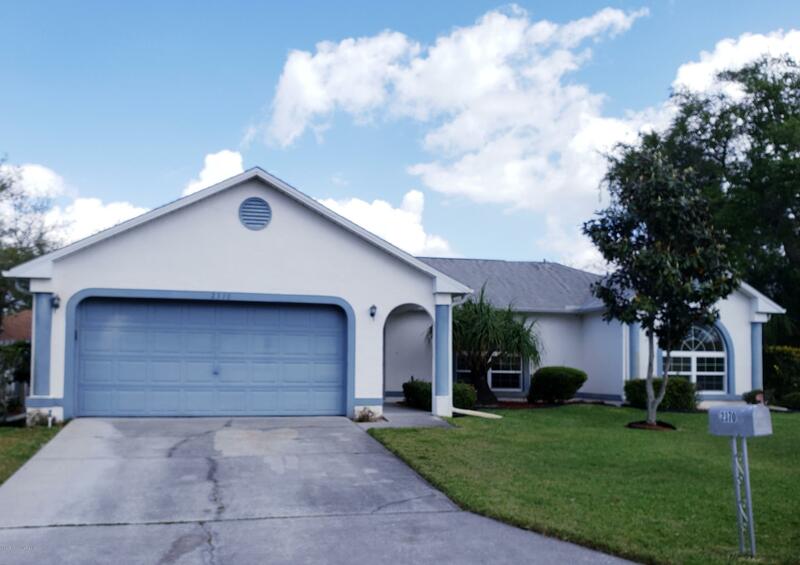 POOL HOME, PRICED TO SELL!This well maintained family home offers you 4 bedrooms, 2 baths, split plan. An oversized 2 car garage, located on a cul-de-sac. Vaulted ceilings, newer A/C (2 years old), water heater (6 years old), and roof (8 years old). Brand new carpet in the master bedroom, living room, and formal dining room. Hurricane windows throughout home except for the three back bedrooms.The guest bathroom was remodeled 2 years ago and all sprinkler heads have recently been replaced. This home is on city water, but you also get a water purification system for drinking water that has been maintained every year. A little TLC to make this home all yours. Washer and dryer convey!